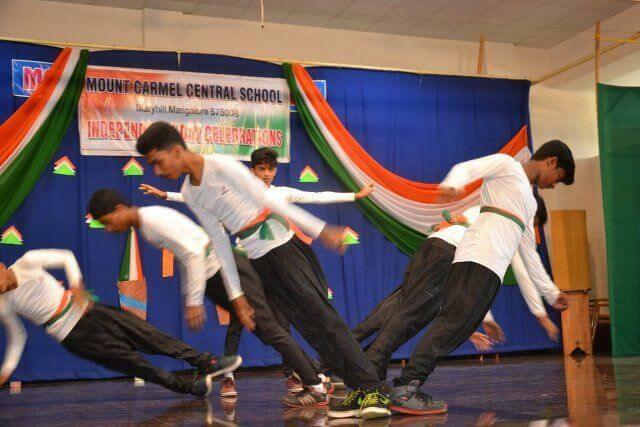 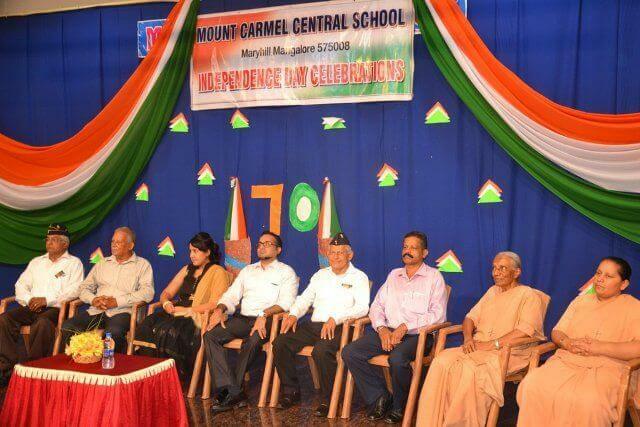 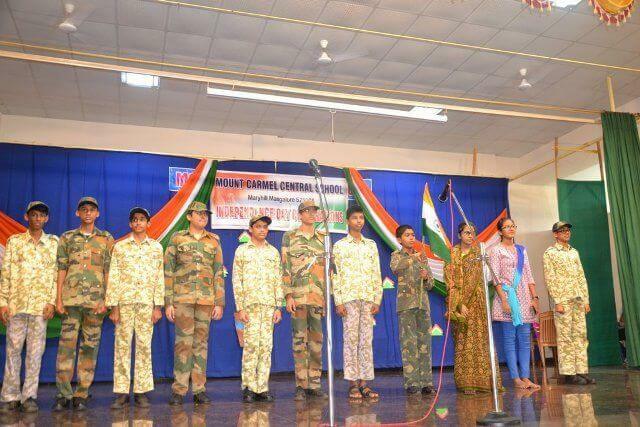 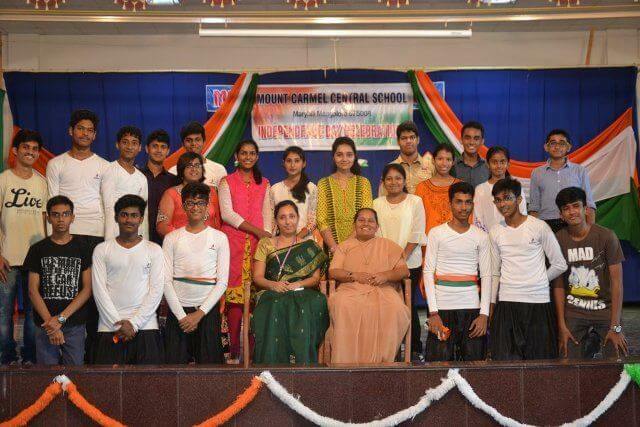 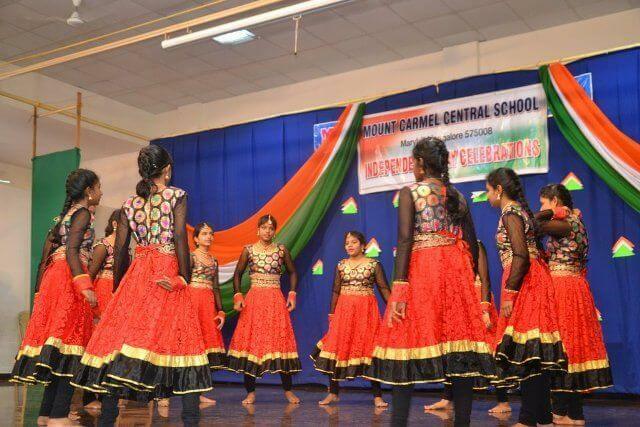 It was a moment of pride for the Mount Carmel family as we celebrated the 70th Independence Day with great respect and honour. 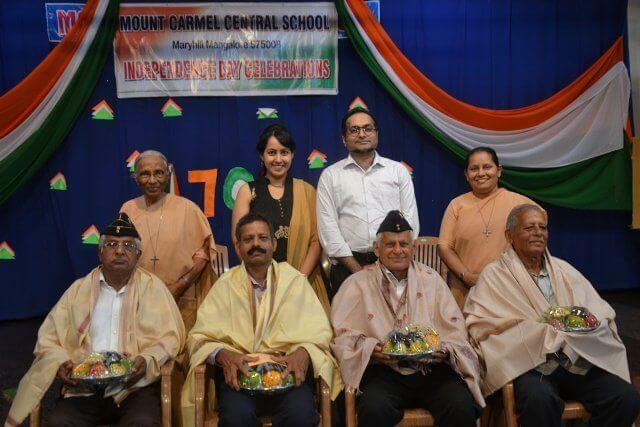 It was more meaningful this time as we had the military ex-servicemen with us. 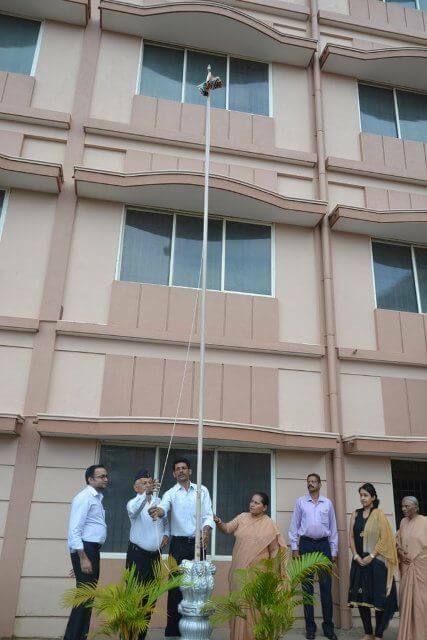 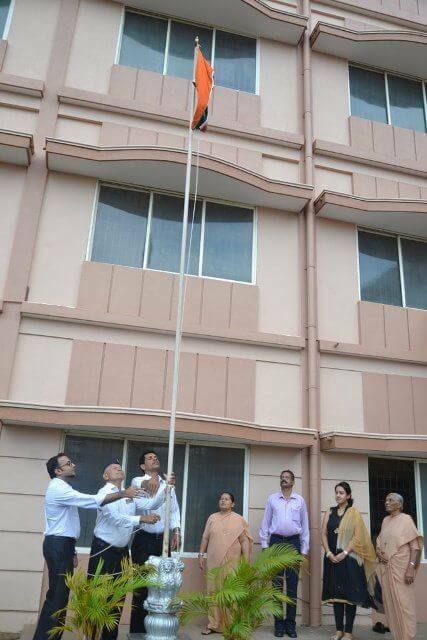 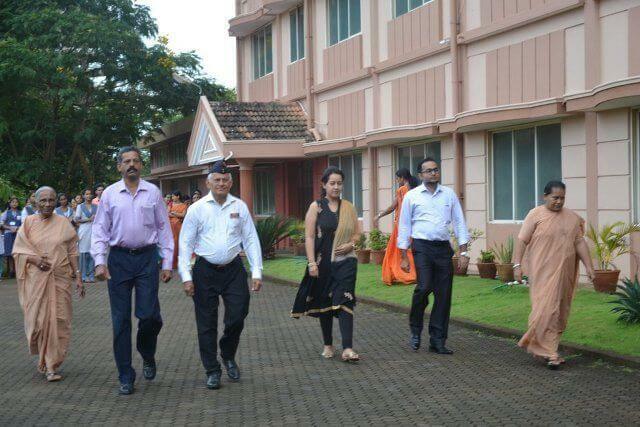 The celebrations began with the hoisting of our National Flag by our honoured Chief Guest Mr. Vinay Bangera, Training Head, Diya Systems and his wife Dr. Blessy Bangera. 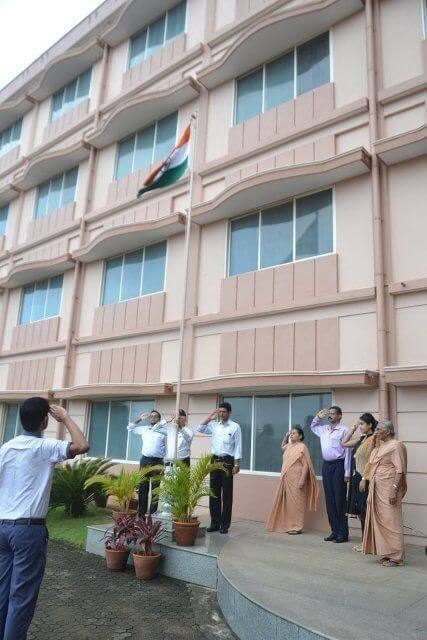 It was indeed a breath taking moment when we saluted the National Flag and emotionally sang the National Anthem. 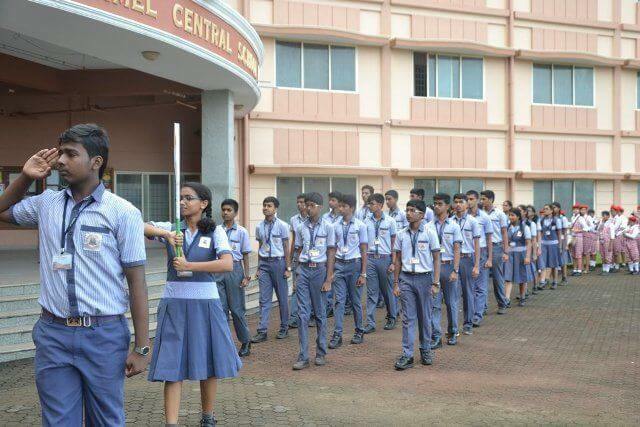 This was followed by the March Past led by the School Head Boy Chinmaya H.N. 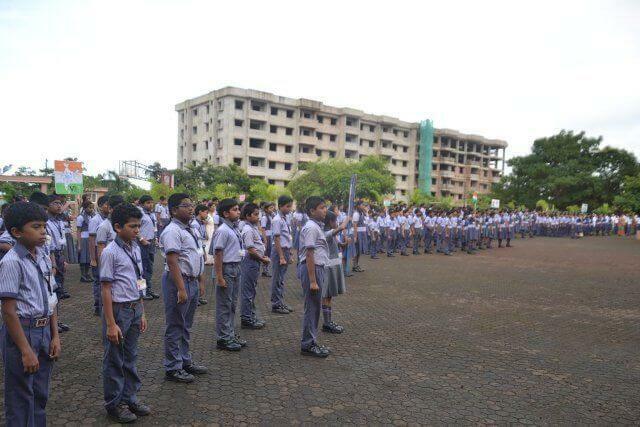 The students marched rhythmically at the beat of the school band. 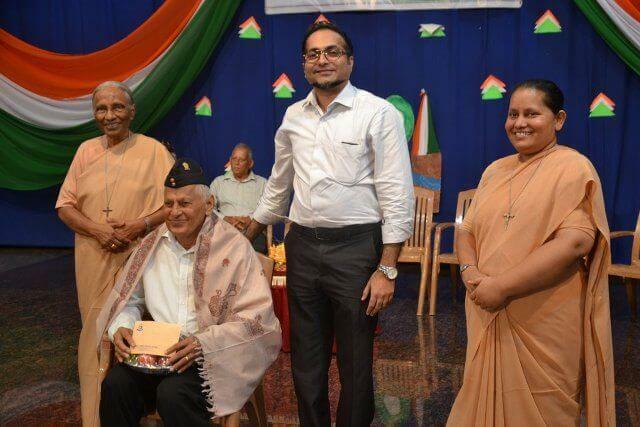 The 4 veterans Mr. Cyril D’Souza, Mr. Ligouri Leo Rego, Mr. Cyril Baptist Rodriguess and Mr. Gopal were honoured and felicitated for their service to the nation. 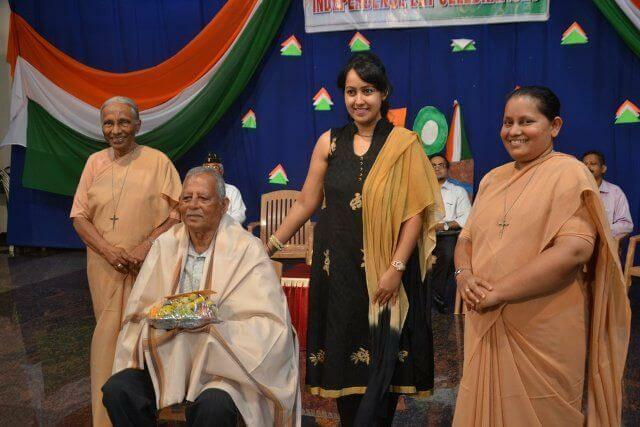 Mr. Cyril D’Souza, our immediate neighbor from Maryhill has served the Indian army for 26 years in 28 units as Subedar. 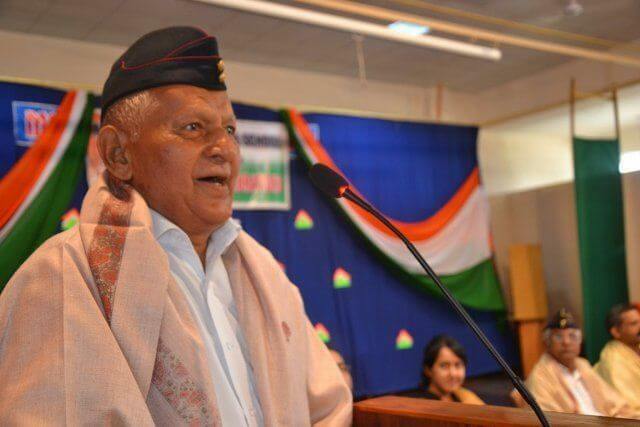 He has witnessed China aggression, 65 action, 75 action and served in the active field. 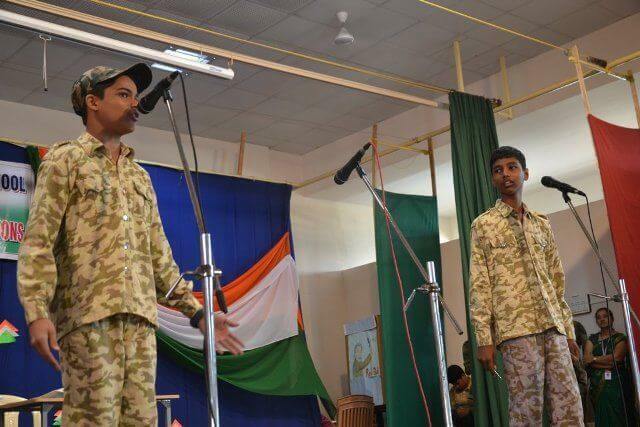 26 years of service in military force perhaps is an attraction to the youth to serve the nation today as it faces threats on all sides. 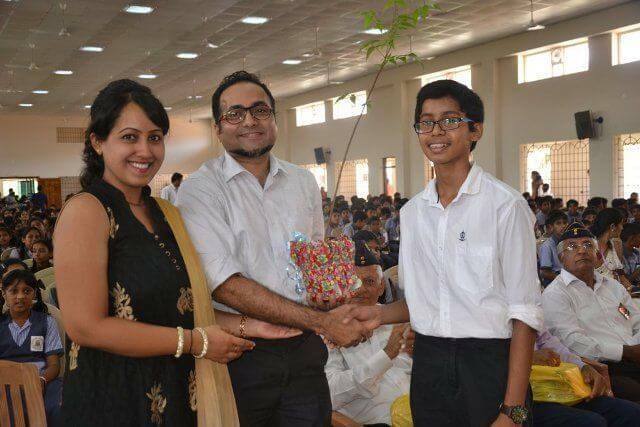 Chief Guest Mr. Vinay Bangera felicitated Mr. Cyril DSouza. 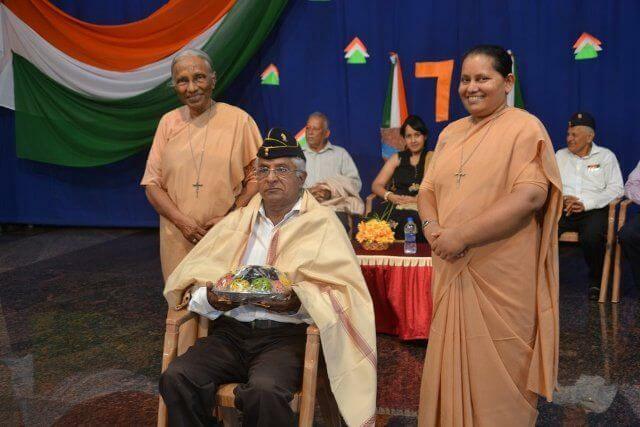 Mr. Ligouri Leo Rego from Bajpe has put in 28 years of service as Subedar in the Indian army from 1958 to 1986. 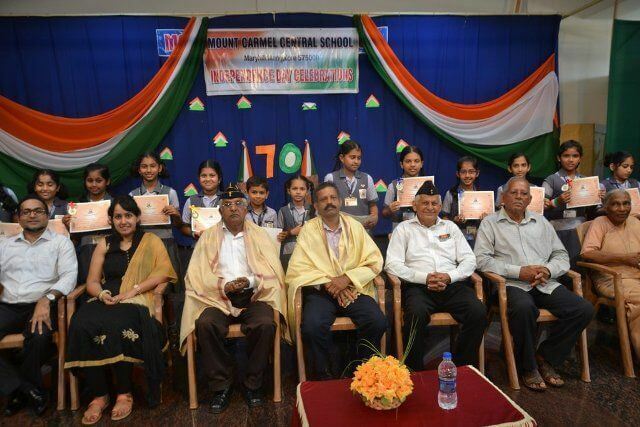 He is the paternal grandfather of our student – Esther Nicole Rego of Class I B.
Mr. Cyril Baptist Rodrigues from Valencia was in Indian army as Non commissioner officer for 18 years from 1965 – 1983 and has served in Dehradun, Himachal Pradesh, Assam etc. 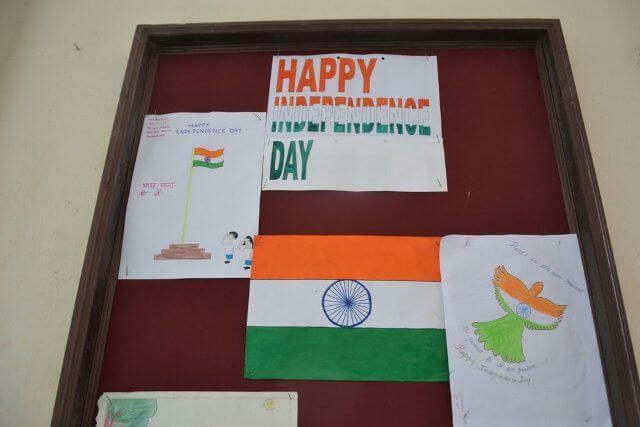 He is the maternal grandfather of our student – Esther Nicole Rego of Class I B.
Mr. Gopal – Ex Naik from Land links has served in the Indian Army artillery for 17 years from 1982 – 1999 at Jammu Kashmir, Bikaner – Rajasthan and Sikkim. 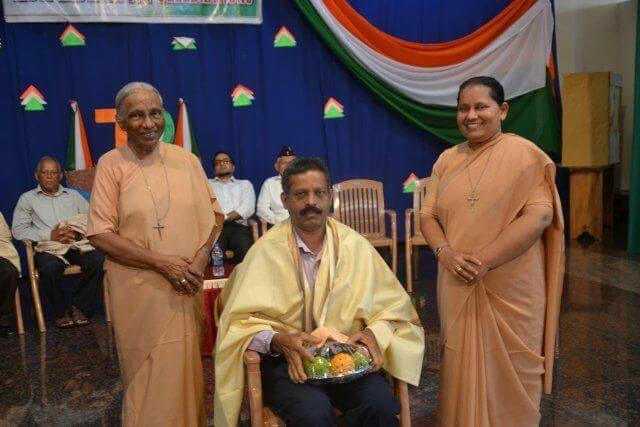 Our school principal Sr. Melissa felicitated Mr. Gopal. 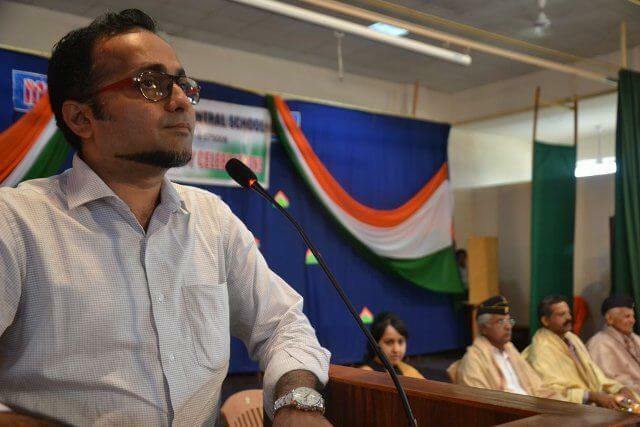 Mr. Vinay Bangera delivered the message for the day. 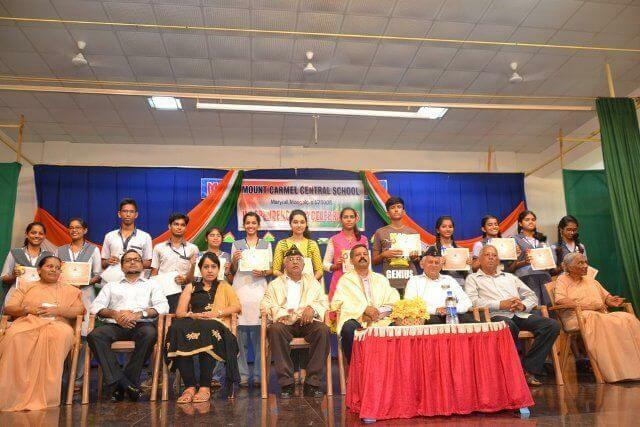 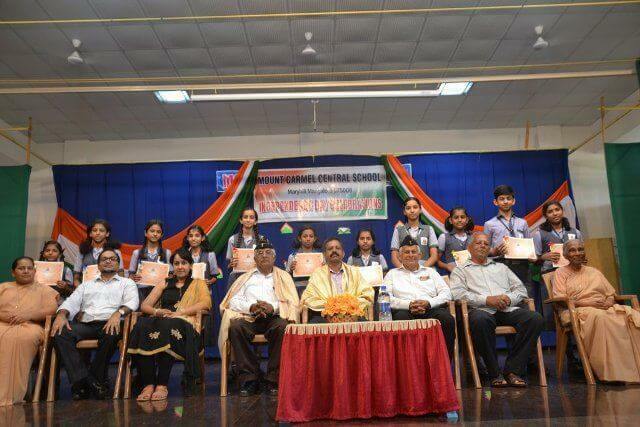 Mr. Vinay spoke on the sacrifices of freedom fighters and military men. 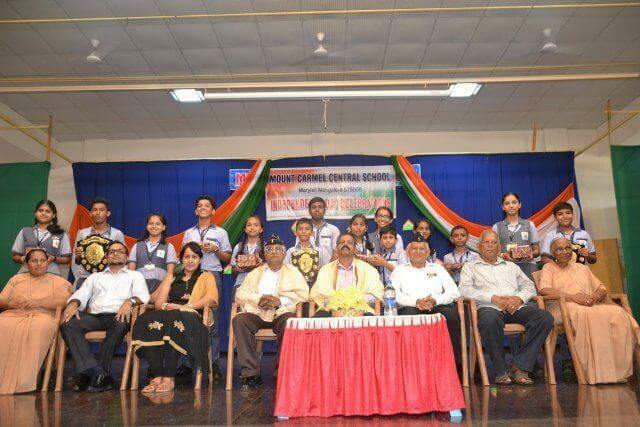 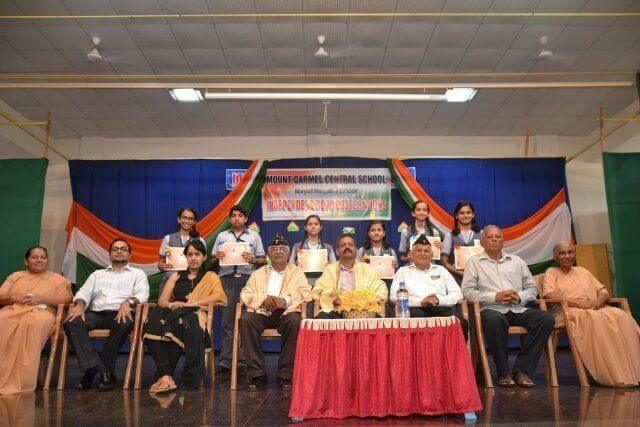 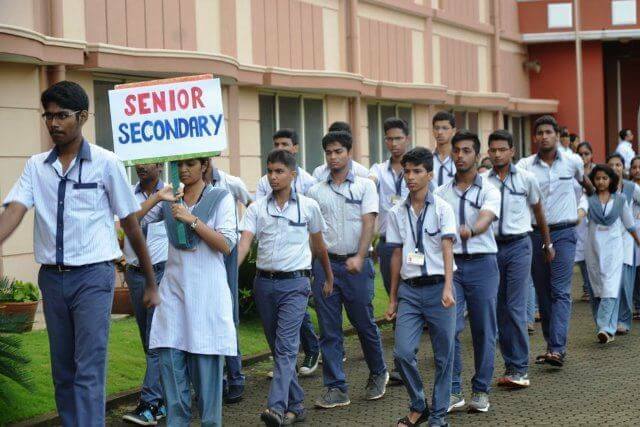 The ex-serviceman, Subedar Cyril D’Souza expressed his sentiments of gratitude for honouring them and encouraged the students to join the armed force and to serve the nation. 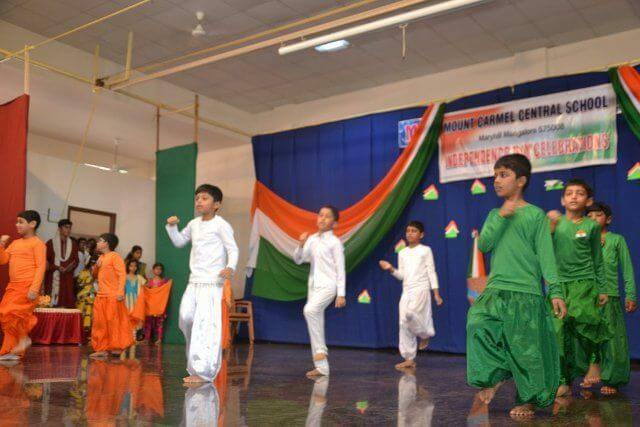 It was a day of celebration filled with spirit of patriotism and honour for our Mother land India. 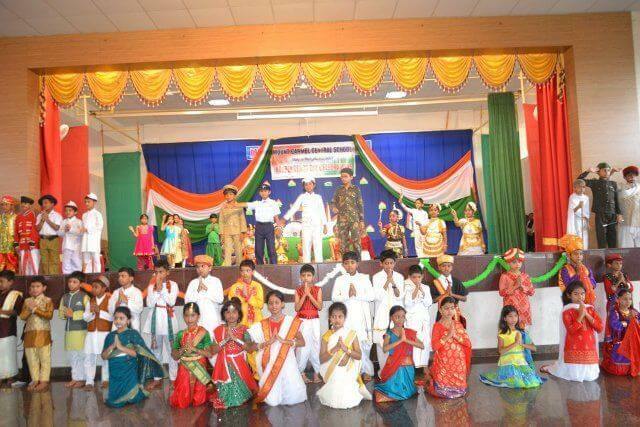 12.08.2016: Nursery to class IV students celebrated 70th Independence Day with a variety of cultural programme on August 12th in the school auditorium where Ms Rovena Sequeira, the school counsellor was the chief guest. 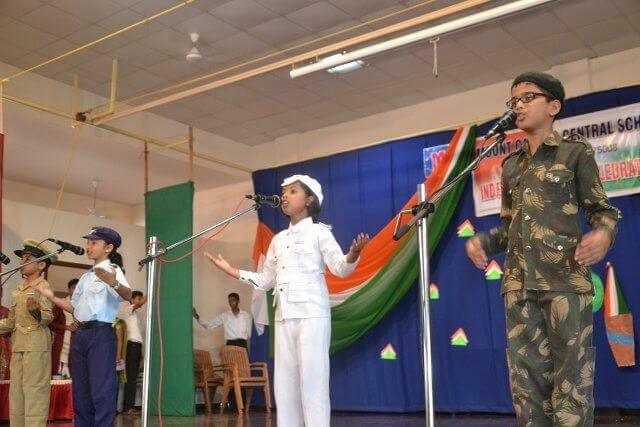 The emcees came dressed to represent the four armed forces – army, navy, police and air force. 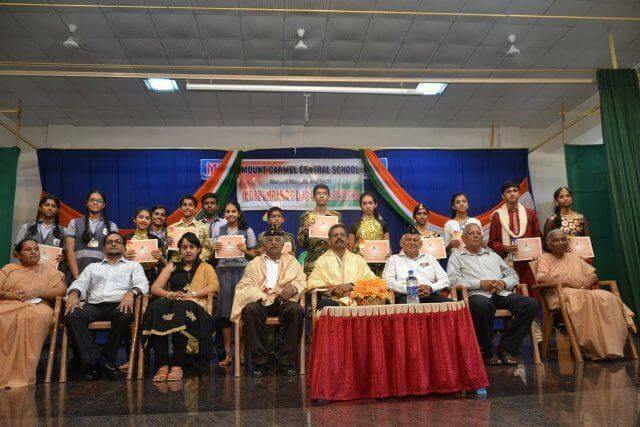 Every one of them was eager to take part in the celebration. 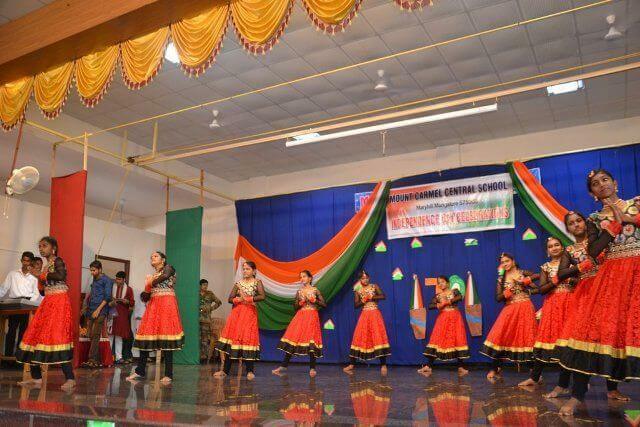 To mark the celebration an assemblage of events took place, ranging from patriotic songs to dances. 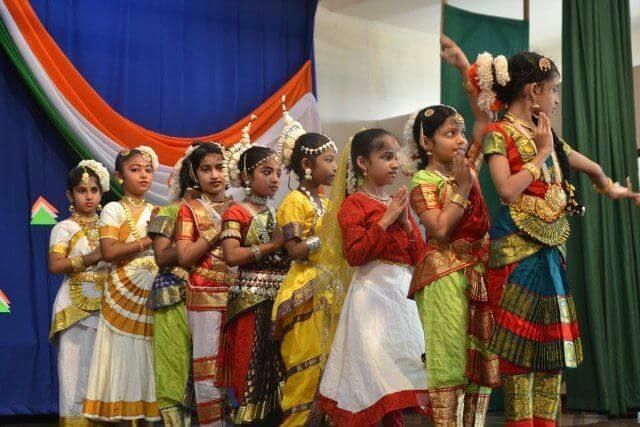 The programme commenced with a prayer dance “Let my country awake” song composed by Rabindranath Tagore. 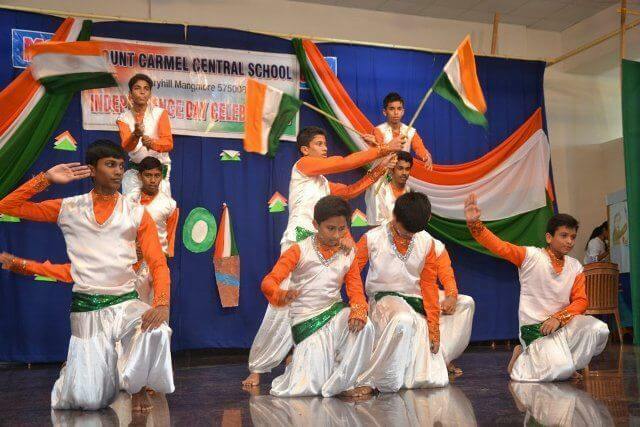 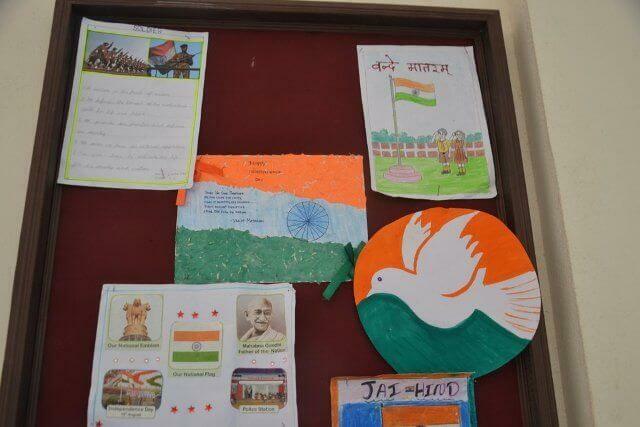 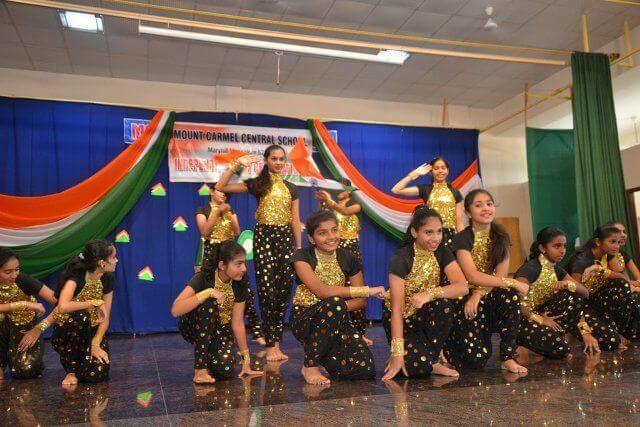 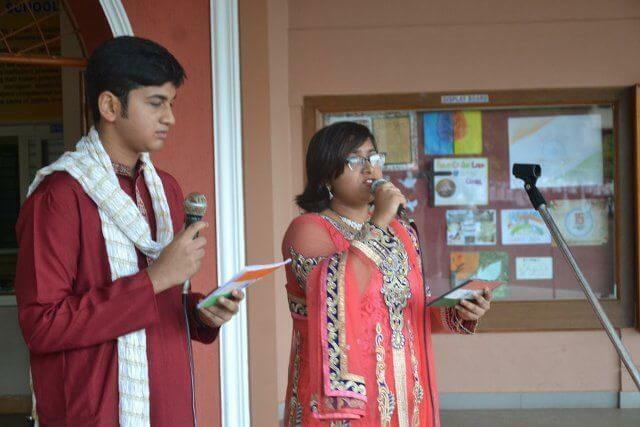 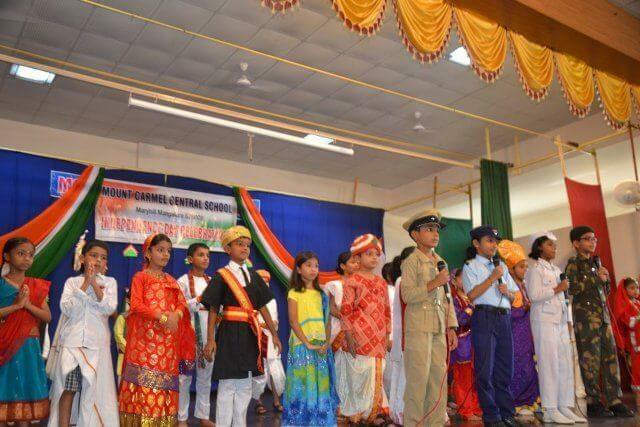 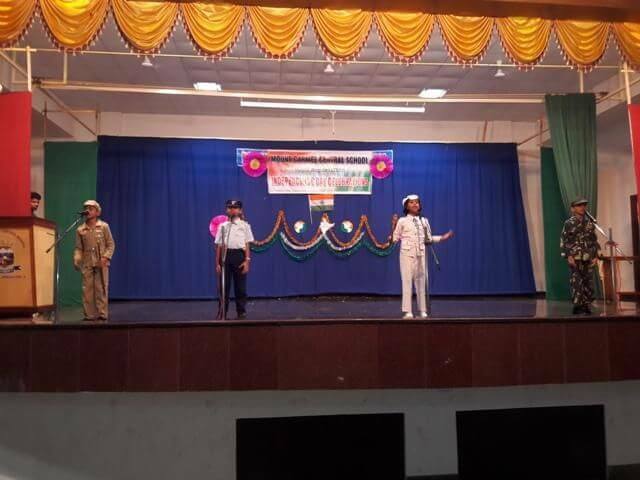 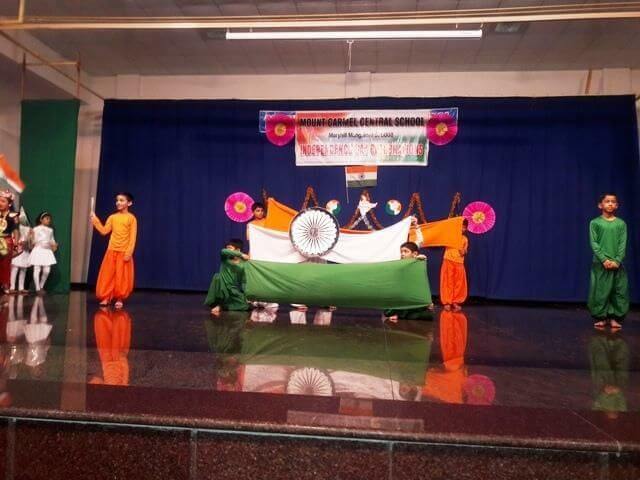 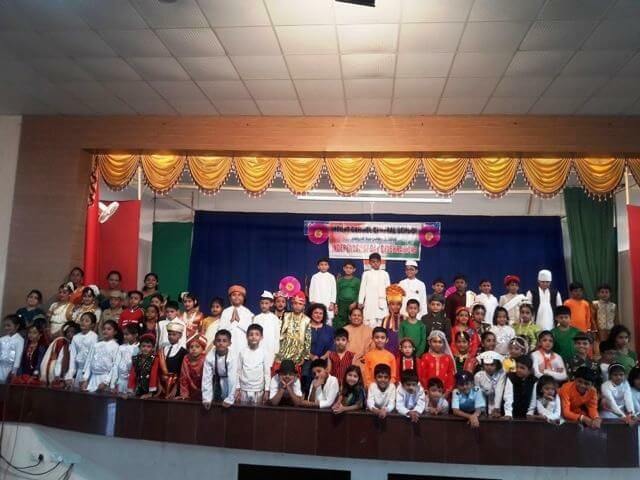 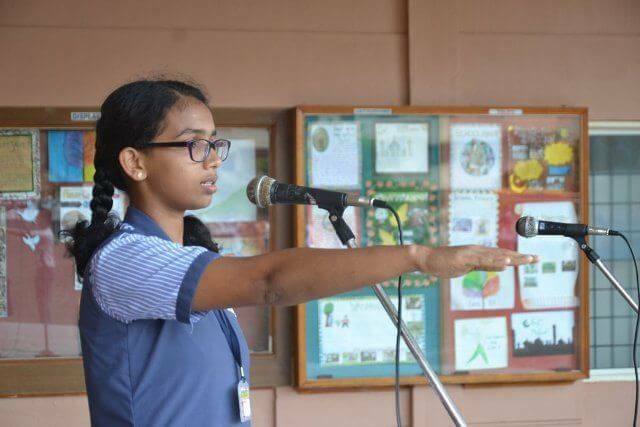 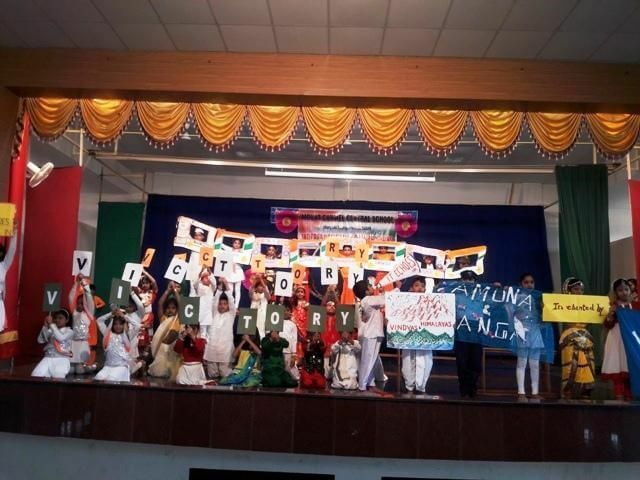 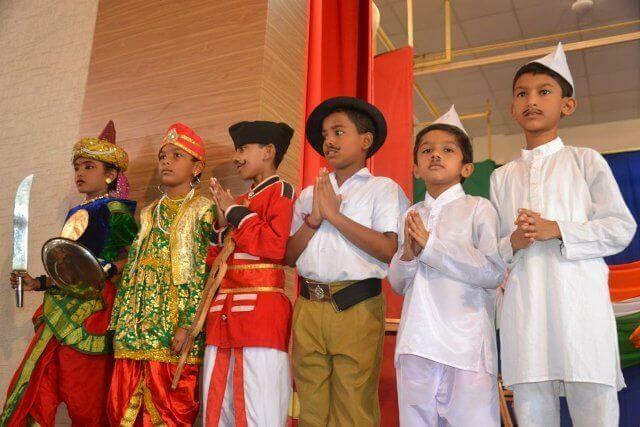 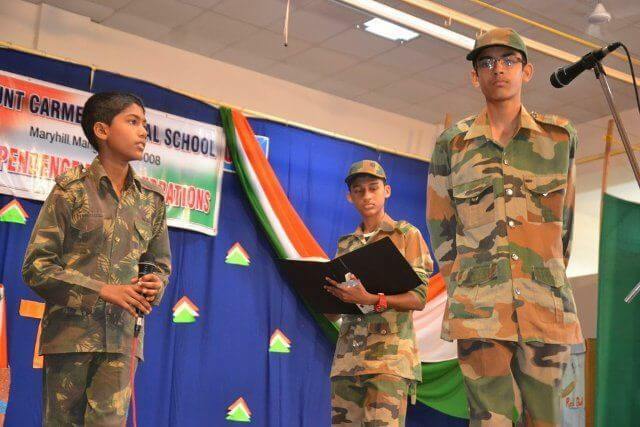 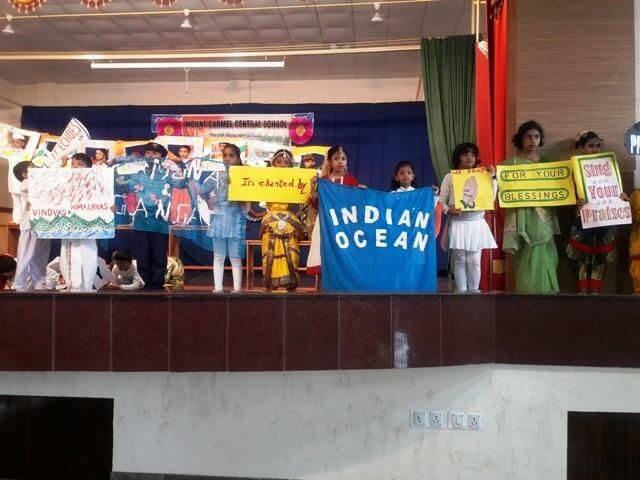 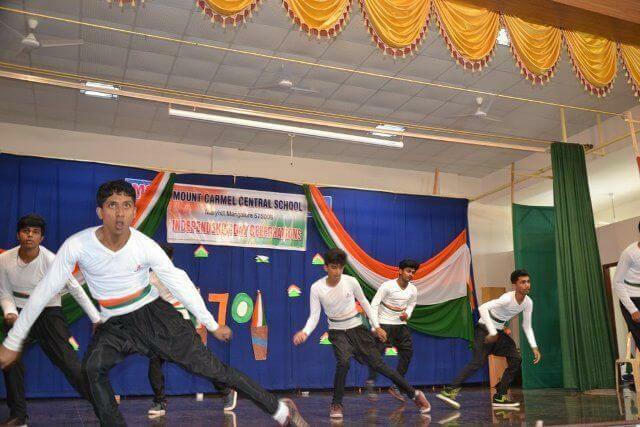 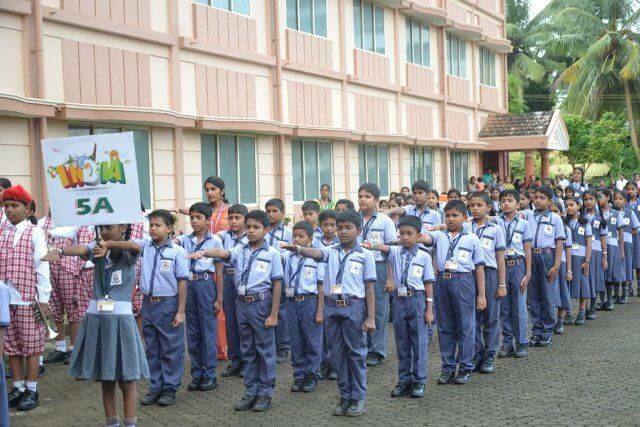 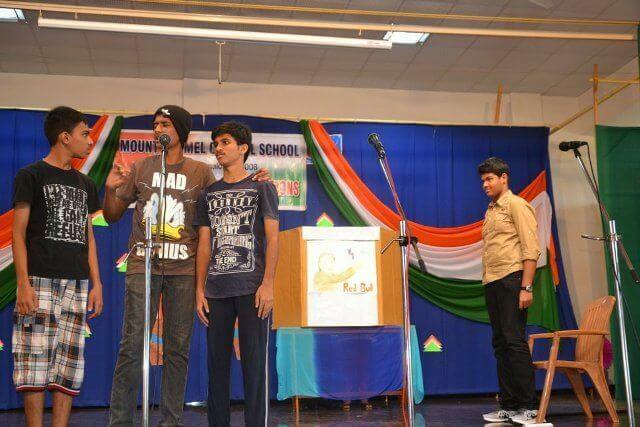 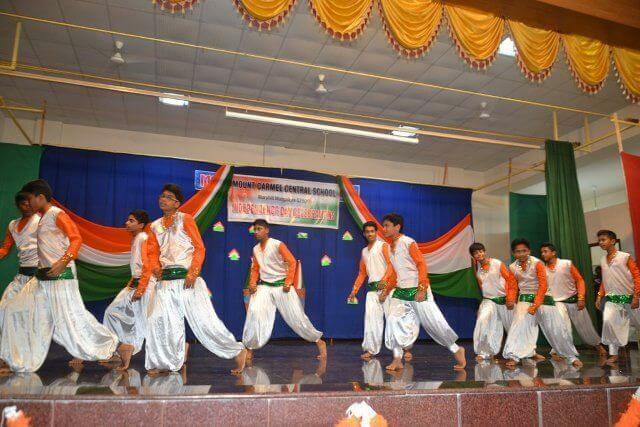 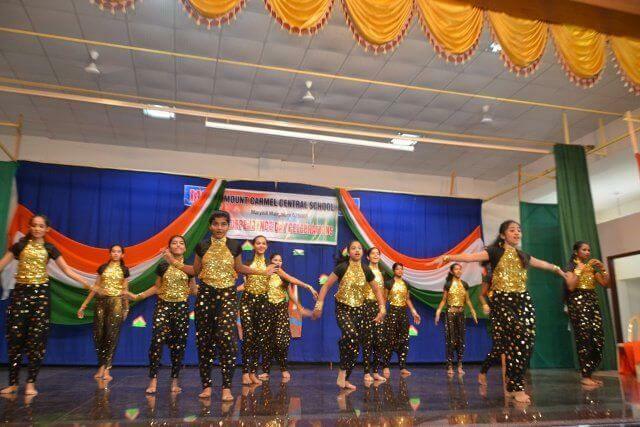 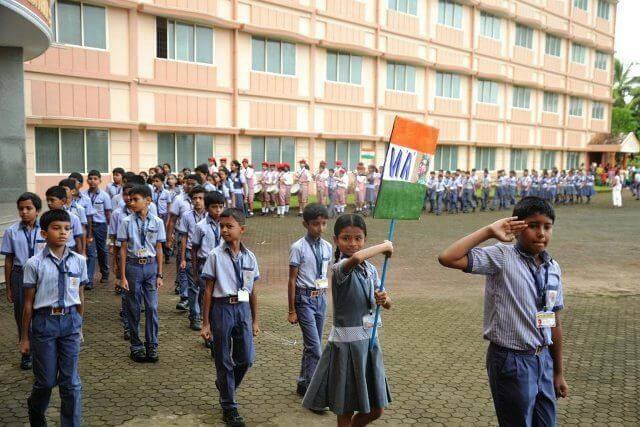 A skit highlighting how India got its Independence was presented by the students to commemorate the atmosphere of national pride on the premises of the school campus. 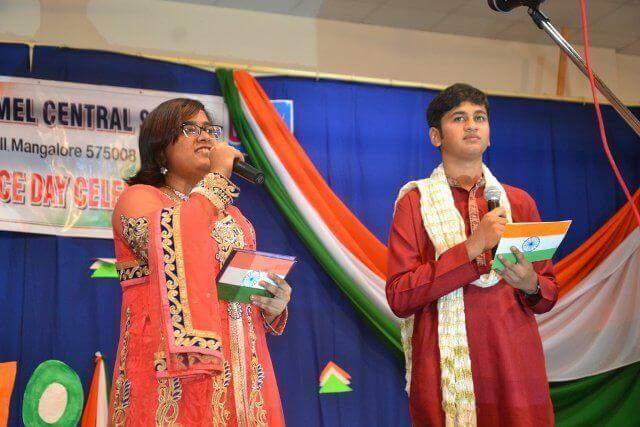 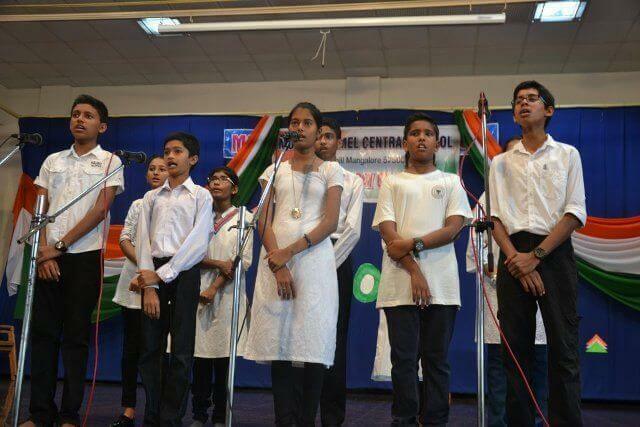 Students displayed their talent by a melodious patriotic song “Miley Sur Mera Tumhara” on the occasion highlighting the rich cultural heritage of India and the distinctive feature of Unity in Diversity”. 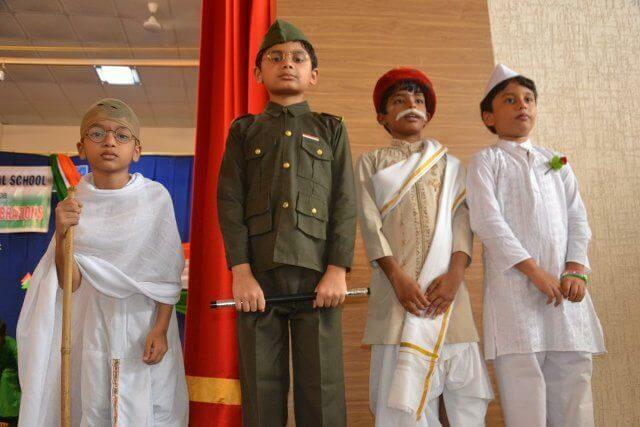 Students also came dressed as Father of the Nation Mahatma Gandhi, Jawaharlal Nehru, Subash Chandra Bose, Bal Gangadhar Tilak and many more, reminding the audience of the untold sacrifices of the patriot fighters of freedom, who shed their blood for achieving freedom. 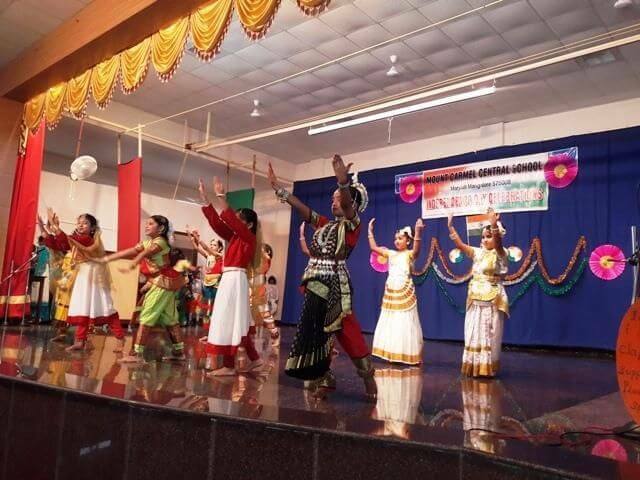 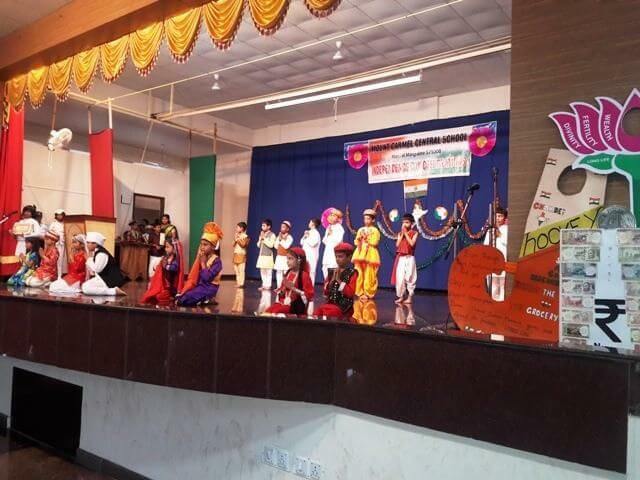 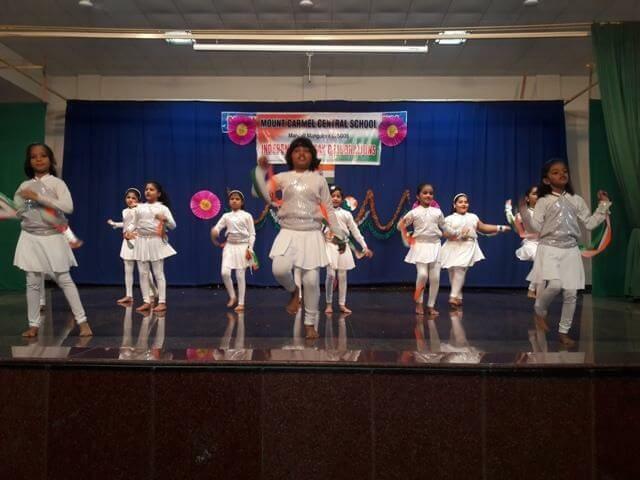 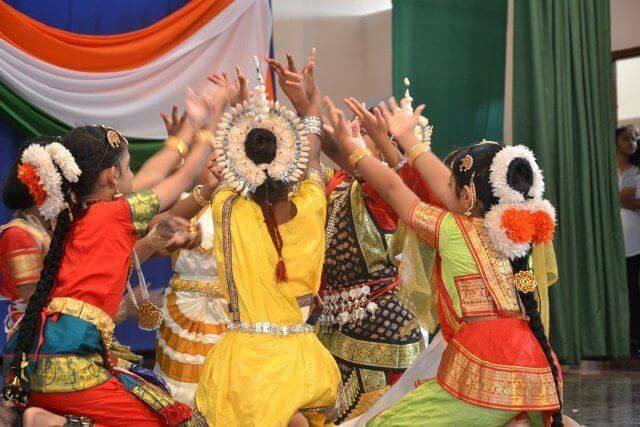 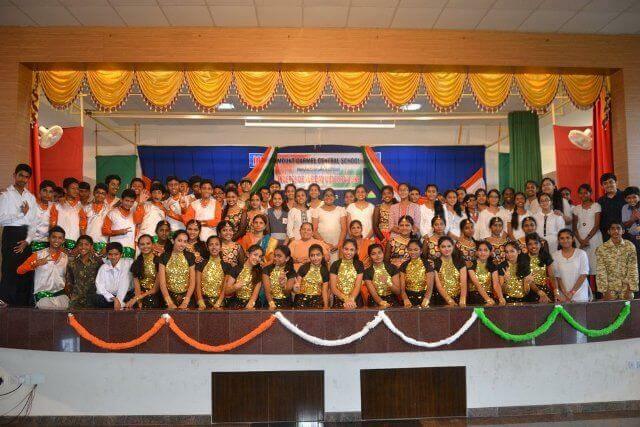 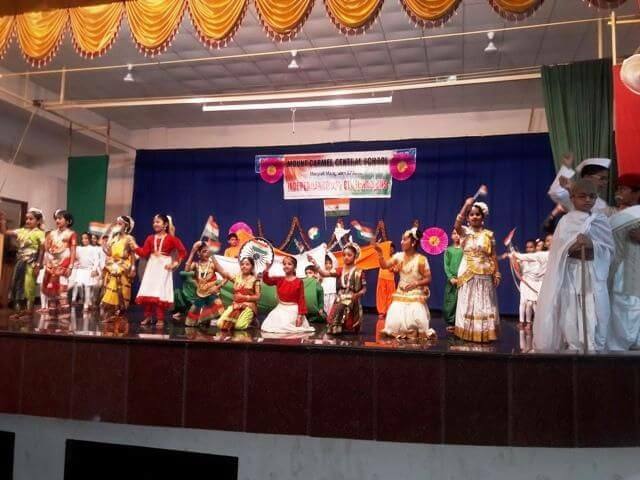 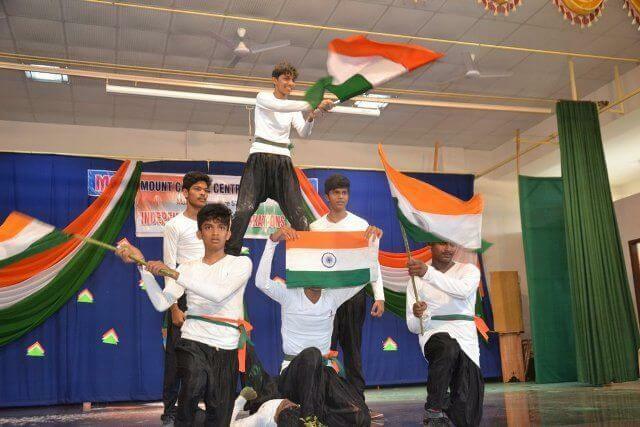 The students awakened every individual’s feelings towards our mother land through a dance performance displaying the different classical dance forms of India through a song “Vande Mataram” written by Bankim Chandra Chatterjee. 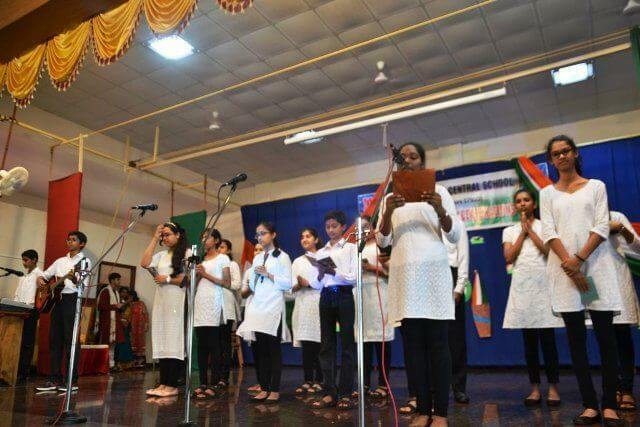 To commemorate the sovereignty of our nation the programme concluded with all singing in unison the National Anthem, expressing the joy of our freedom through a tableau highlighting the meaning of our National Anthem in English. 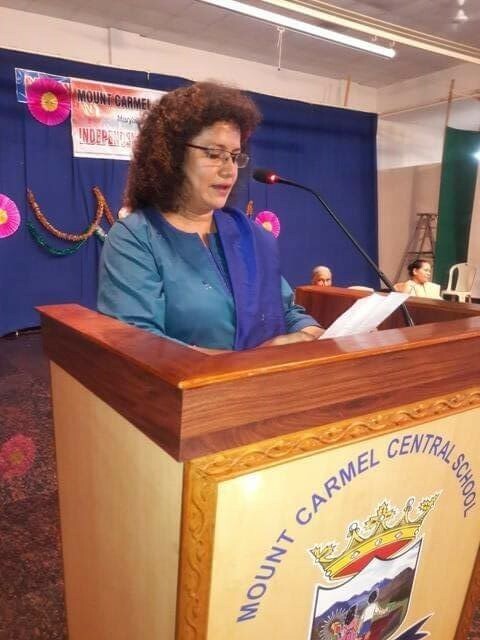 Addressing the students the Chief Guest of the function Ms. Rovena Sequeira highlighted the importance of our national symbols. 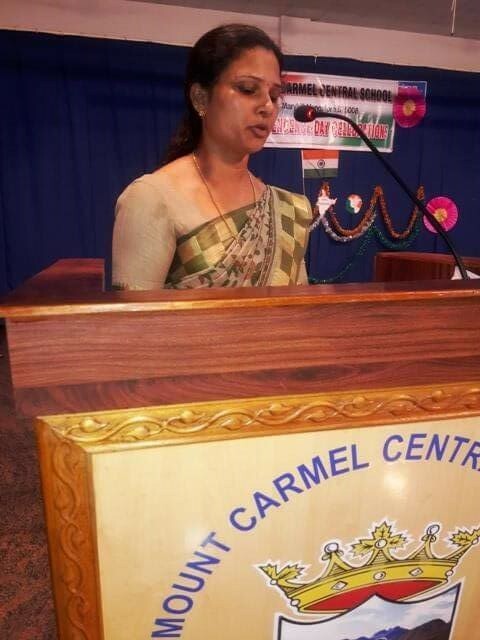 She expressed our gratitude to the soldiers, who safeguard our nation in return helping us to live in peace and harmony. 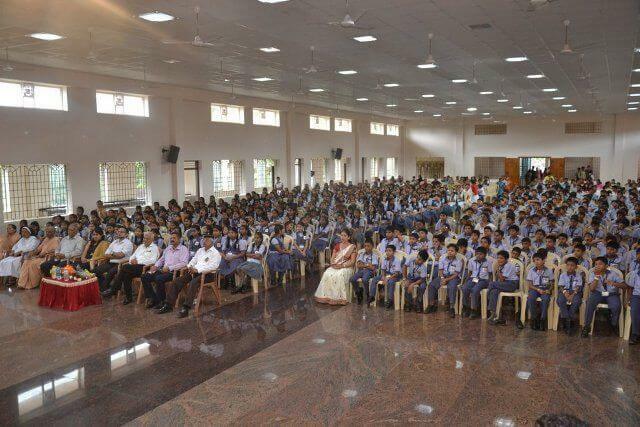 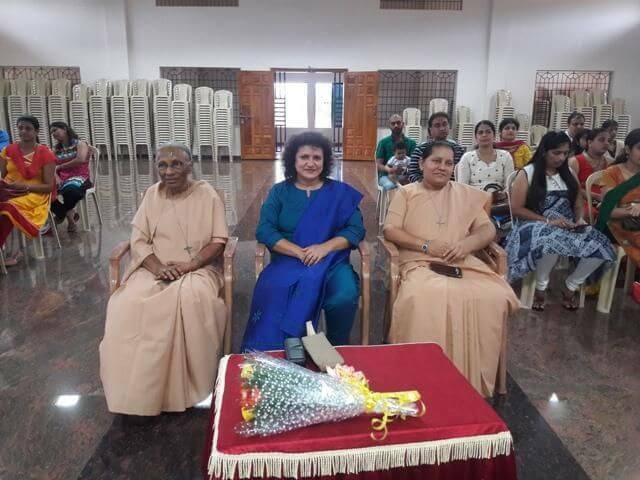 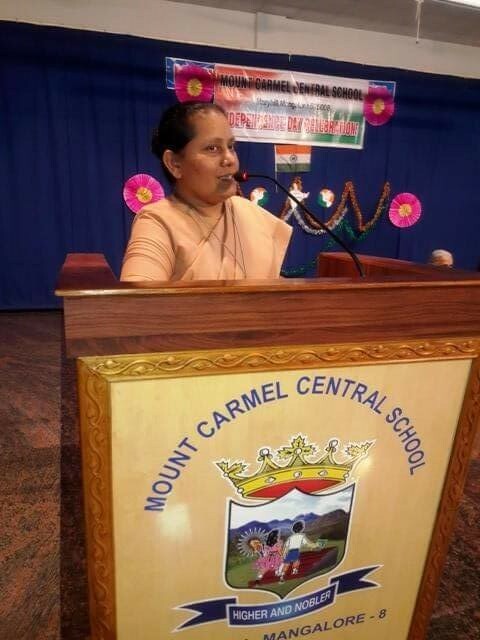 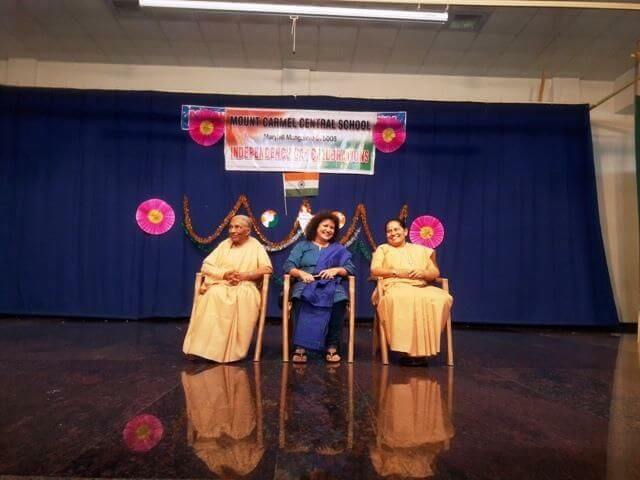 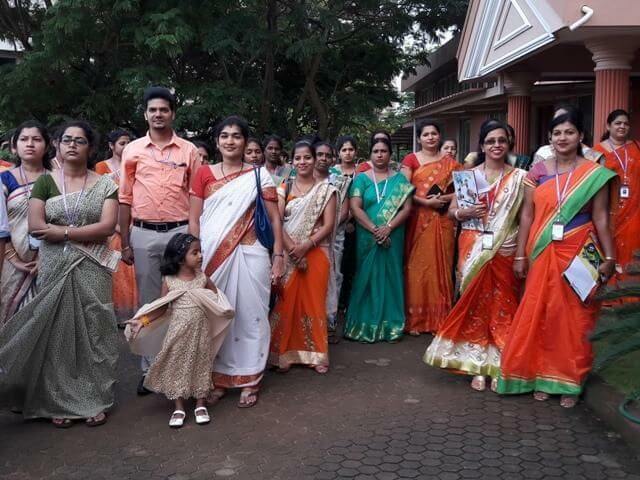 Our Principal Sr. Melissa blessed the students on this auspicious occasion of our 70th Independence Day. 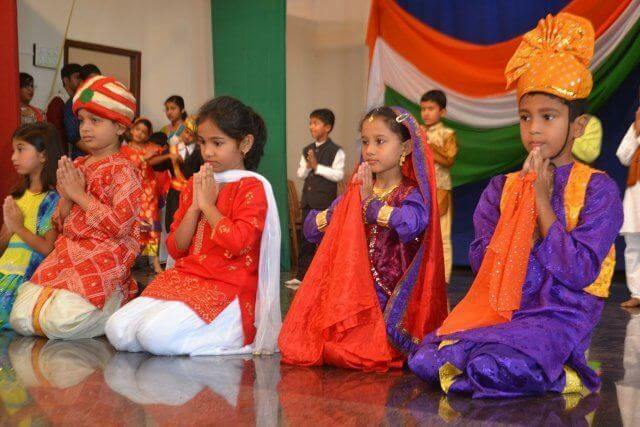 It was indeed a day of enlightening the spirits, bringing joy, love and respect for the country. 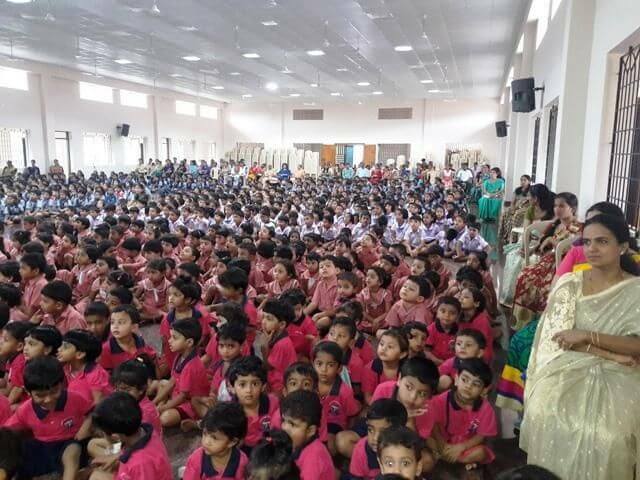 In the end sweets were distributed to the students.